Moby has released a new video for The Only Thing, packed with scenes taken from Third Person movie. Këngëtarja nga Shqipëria, Eni Koçi vjen me videoklipine saj më të ri të titulluar “Motivi im”. Ajo në videoklip është shfaqur e zhveshur nudo duke mbuluar trupin me këmbët e saj. Saša Kovačević objavio je svoju novu pesmu, “Noć do podne”, kao i prateći spot. Following on from the inaugural Crossing Wires compilation by Toronto trio My Favorite Robot, next to mix it up for the exciting series is global electronic music icon Timo Maas. Still riding high off the success of his latest and greatest full length relaese, Lifer, back in 2013 (which blended trip hop with ambient, sleazy house with wonky techno and included collaborations with the likes of Placebos Brian Molko and Brighton chanteuse Katie Cruel as well as James Lavelle, founder of seminal e90s label Mo Wax) Timo has long been a pioneer in his field. Ivana Pavković je konačno objavila novu pesmu „Nek’ pukne bruka“ i spot za ovu numeru. Pevačica se predstavila u ekranizaciji u do sada najizazovnijem izdanju i sam tekst pesme je poprilično intrigantan. With T-ara member Hyomin's solo debut looming closer, some believe her concept is strikingly similar to American pop star Miley Cyrus. 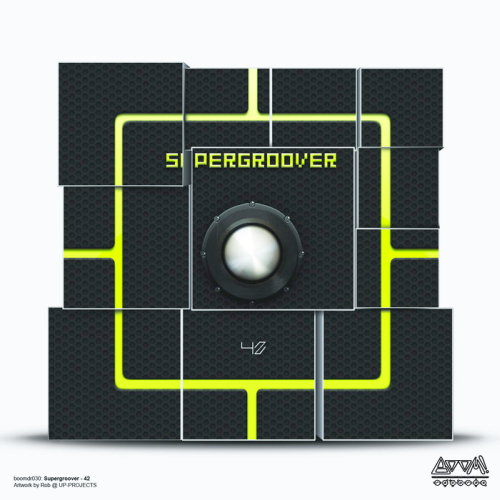 Supergroover is a progressive psytrance project by Raoul Koning from Amsterdam, the Netherlands. With this EP BooM! Records bring you four fresh tracks. Atmospheric tracks with full basslines, trippy effects and a little pinch of salt. Psychedelic sounds, infaded by dubby delays and lush soundeffects. All this and more to speed up your dancing moves and make all 8 bit boys and girls smile!